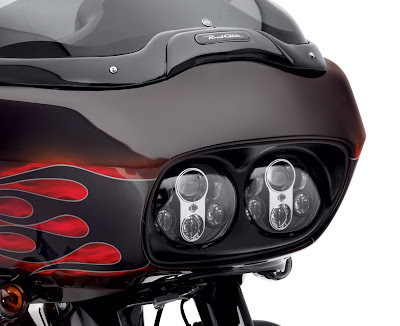 MILWAUKEE, The new Daymaker ™ LED Headlamps for Harley-Davidson Road Glide® model motorcycles (P/N 67700109 Chrome, P/N 67700112 Gloss Black and Chrome; $699.95) from Harley-Davidson Genuine Motor Accessories produce light that is brighter and whiter in color, with a superior light pattern, compared to standard incandescent lamps. 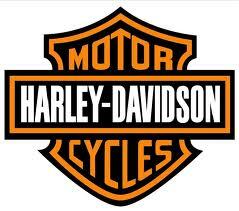 These headlamps feature horizontal “D”-shaped optical lenses that focus light into a pool immediately in front of the motorcycle, and separate high-beam and low-beam projector lenses that focus light further down the road. The solid-state LEDs are designed for long life, and the shock- and vibration resistant lamp assembly mounts into existing light housings. No external ballast or complicated wire harness is required. The LED headlamp is DOT and ECE approved. 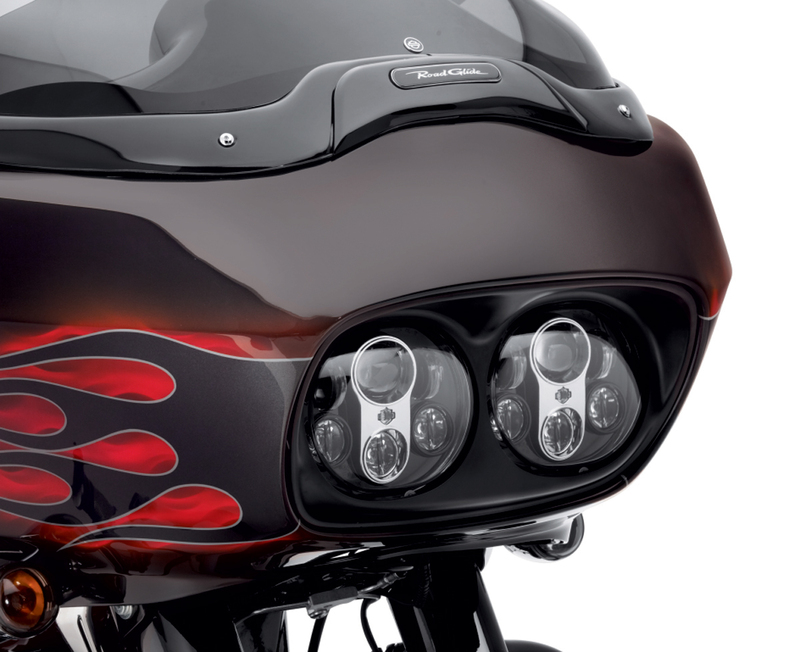 This dual headlamp kit is available with a brilliant chrome or gloss-black lamp background to fit 2004-later Road Glide models.